Caterham is famous for continuing the construction of the Colin Chapman-designed Lotus Seven track car. 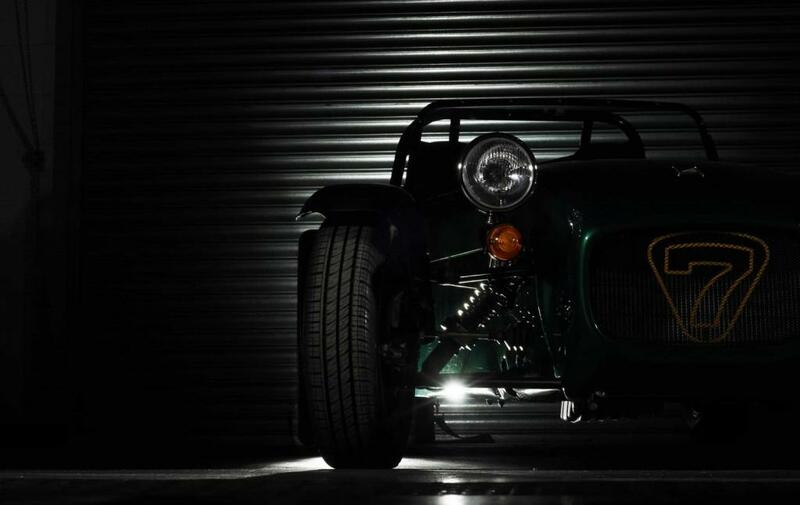 Already known for lightness and fuel-efficiency thanks to its stripped-down design, the Caterham Seven is apparently going to get even lighter and cheaper. The details are, too, light but from what we understand, Caterham has a new Seven coming that will be the most fuel-efficient version it has ever built for as little as $25,800, according to Motor Authority. “As we celebrate our 40th anniversary at Caterham, it feels good to be taking the brand right back to where it started,” the boss of Caterham’s car division, said in a statement. “The new, entry-level Seven will be uncomplicated, easy to run and, most important of all, an intuitive and exciting drive,” said Graham Macdonald, Caterham’s car division head, in a press release. While the new Seven might not be the easiest car to track down here in the States, this is great news for those of us who love the idea of a track day car but also aren’t keen on spending $70,000 on one. We’re not quite sure what Caterham designers had to cut out of the Seven to get it down to the $25k mark. As soon as we know, though, we’ll be sure to bring it to you. In the meantime, interested parties might want to start researching a nice pair of goggles.